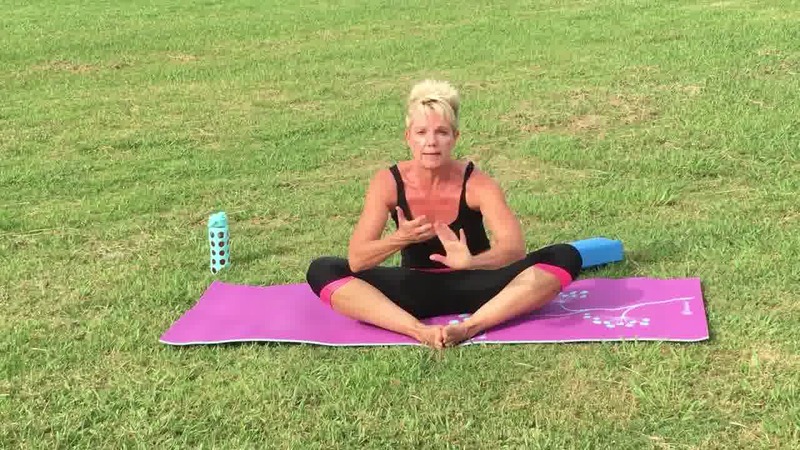 In this video, Ursula will show you easy Yoga poses for your lower back. Lower back pain is one of most common complaints. Most people will experience low back pain at some point in their lives. Lower back pain is experienced by sedentary people as well as highly-trained athletes. If look at human anatomy, we realize the hamstring muscles and the illiopsoas muscles are shortened from long hours of sitting and this causes strain on the lower back. Weight-bearing sport exercises like running, jumping, or rapid dynamic movements produces tension on the lower back. Over time without properly stretching and releasing these tight muscles injuries may occur. For lower back pain relief, better mobility or a healthy back in general, please do the following poses as often as you can or at least after your workouts. Make sure you breathe deeply in and out of the nose while doing these poses.